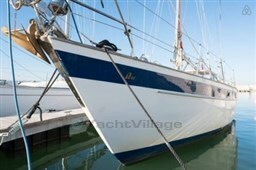 This Beneteau 44 CC, designed by Bruc Farr, offers a lot of comfort and has good sailing qualities. With three cabins she is ideal for sailing with family and friends, not only during the weekends but also for a longer trip! The yacht is equipped with a Volvo Penta engine, a lot of storage space and with lots of headroom. Would you like to visit the yacht, we would like to hear from you. See you in Hindeloopen! 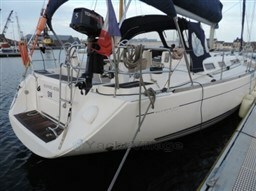 Dear Sirs, I have seen on YachtVillage your offer about Beneteau Oceanis 44 Cc - 1998 (code: 295541). I am interested in the offer and would like you to contact me. Thank you. If you would like to find out more about this boat and any other boats of this type and range, Digibusiness Srl,the Company that manages YachtVillage, and De Valk Yacht Broker, the Company that exhibits the Boat, must necessarily acquire some simple details about you (name, surname, email address and, if needed, your telephone number). These details will be processed according to the purposes and means of the processing indicated in the privacy statement under the PRIVACY Section of this website, referred to herein.